“The story opens with Erica, a pancreatic cancer patient, having just finished a bout of radiation. She is out in the Wales’ countryside in search of a Guru healer, Arpan. The lush countryside descriptions and crisp dialogue instantly drew me into the story, as well as my instant liking and empathy for the protagonist Erica, who’s desperate to find a cure to her illness. Arpan is her answer and when she is immediately rejected by him, his icy voice (coming from inside his humble dwelling) jumps off the page as she begs, “I’m very ill. You are my only hope,” he responds, “You’ve come to the wrong place.” She continues to beg him to share his gift, to save her life, even with this, he asks her to leave. How can one not want to continue reading this story to find out what happens, so thick is the initial tension and conflict that drives the story. When she falls to her knees and he softens a little she says his name and he again rejects her stating that his name is Amesh, one that suits him better. He explains that the man who could help her disappeared with the name, garnering some sympathy for this character, leaving the reader to wonder what his story is and why he is so resistant to helping this struggling, suffering woman. Finally, he comes out of his home and they meet. He’s not what she expected, a bare shell of the man she’d seen images of, a mere reflection of his earlier self as Arpan. Her car is broken down and she is told to walk to the nearest place but when she arrives no one is there so she returns to Amesh’s place. Then Amesh, invites her in to rest. When she felt Amesh’s hands on her shoulders, the warmth of his hands radiated powerfully through her body. And thus, the healing begins—for both of them. As the author Christoph Fischer moves the story along, we encounter mysterious events, intrigue, and the power of the mind interspersed into scenes and dialogue. When all is said and done, and Erica returns to have her follow-up scans, an unfriendly doctor challenges her with, “What is it you want from this scan,” Dr Kowalski asked, still in a tone that sounded unfriendly. “The notes from your doctor indicate clearly that the tumor is very advanced, and you know that. So why are we looking at it again? Is it a second opinion you want, or do you want to see how fast it grows?” No spoilers with how this all turns out but one can surmise they will be glued to the page as they navigate through corruption, betrayal, illusions, and one mystery after another, right up to the very last sentence in the epilogue, which I didn’t see coming. This was an interesting read, a very satisfying read, with so much of the human condition playing into the scenes: desperation, fear, hope, joy, conniving, greed, and trust. Another great story by the talented Christoph Fischer. Christoph worked for the British Film Institute, in Libraries, Museums and for an airline. ‘The Luck of The Weissensteiners’ was published in November 2012; ‘Sebastian’ in May 2013 and The Black Eagle Inn in October 2013. “Time To Let Go” , his first contemporary work was published in May 2014, and “Conditions” in October 2014. He has written several other novels which are in the later stages of editing and finalisation. 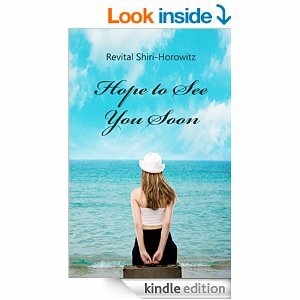 “Hope to See you Soon,” by Revital Horowitz is the beautiful and bittersweet chronicle of a long distance friendship. It depicts with great sensitivity how the different life experiences form the two friends and their relationship with each other. Set predominantly in Israel and Seattle we get to see a multitude of experiences, perspectives and thoughts. We also get to see a wide range of times and places: From Israel in 1982, military training, kibbutz life, London, Bath to life in contemporary Seattle and Israel. Seeing Israel from the inside and the outside, identity questions and loyalty – there is a lot that the author explores in her characters. Being an immigrant myself, I can relate very well to the challenges and experiences described. The way the story is told can at times be a little challenging as letters alternate with narratives and the author uses time lapses, too. Once I settled into this style of story-telling I found the benefits of it however very rewarding. It allows us better to feel contrast and it highlight thoughts out of a sequential order, something very important in reflective work such as this. “Hope to See You Soon” has been a captivating read, rich, sentimental and atmospheric, sad and fascinating. A marvellous novel. I was born and raised in Israel. As the oldest child of a family of three, I was the one who would daydream, I was the one who read like a bookworm, and I was the one who was so influenced by books, that I could act as if I were the main character in the book of real life for weeks…My father owned a small appliance shop and my mom was a stay-at-home mom. Both my parents immigrated to Israel from Iraq in 1950, but met twelve years later and married. As a kid, I remember writing poetry and some short stories. I had a journal I wrote in almost every day since I was nine years old, and up to the time I met my husband, but never imagined that one day I would become a published author in more than one language, and in so many countries, and even continents.I come from a very creative family. Three out of six of my uncles and aunt are published poets, and four of my cousins are well known musicians in Israel, so I don’t really understand why I never thought of myself as a writer (probably because I just did not have the guts…). In Israel, after I graduated from high school I went to the army. I volunteered for special service with an army unit based in Kibbutz Eilot, located next to the Red Sea port city of Eilat. In that unit I worked in the kibbutz at the laundry, with kids ages three and ten (and loved it! ), and even in the kitchen and dining room. It was an experience I will never forget, and influenced me, since this was the first time in my life that I was actually independent and away from my family. After army service of two and a half years I went to Tel Aviv University, where I studied Hebrew Literature and Geography. I loved studying, and this is the reason I hold two Master degrees in both subjects, and a teaching certificate. During my studies I met my husband-to-be, and we moved to London for a year. The year we spent in London was quite a shock for me. As an Israeli, I was always following the news, checking to see if any catastrophe happened, living life on a very fast track. While in London, I learned that the “hot subject” was usually the cold weather and the rain. After a year we moved back to Israel and I went back to school. A year later we married and after another year I became a very proud mom to a beautiful boy. I was the happiest woman on earth when that happened. I felt that I achieved the most important thing in life – I gave life. Two years passed and we moved to Washington State. I love this area very much, but as an Israeli, I never got used to the cold weather, so three years (and another boy) later, we moved back to Israel, this time for about three and a half years, and then with a third son returned to the US. During our stay in Israel earned a second degree in Hebrew Literature, where I focused on Women Studies. I remember taking a class that had a discussion on Jewish women in Arab countries. I remember how upset I was to learn about these women were forgotten, weak, and had lives that lacked meaning, while I knew how powerful the women in my family were back then in Iraq. I remember speaking about this with my aunt, and her suggesting that I can write the story of the women in our family. Am I a writer? I wasn’t very sure, but decided it was worth taking the risk. I started investigating, and taped my aunt, and decided to try and write a novel that would be based on my family’s story. That would be my best chance to reach as many readers as possible, I thought. A character came to my mind, and she was based on a neighbor I once had, who used to be a very good friend of my mom. She was also a mix of my mom and aunts. But where is she located, I wondered, and what was she doing? In my imagination she was living in a small town, and she was for sure proudly cooking I thought, Iraqi dishes. You see, in our Iraqi Jewish family a mom feeds everyone. My mom is still the same way, and food has a central role in our life. Then came the second character, the sister of this woman whom I named Farina. She was the family intellectual, and was writing the family story because she was sick with cancer. She wanted to leave it for her children to learn later in life about their roots and origin. I named her Violet, since in Iraq they used English names because the British had ruled for many years. The third main character was Violet’s daughter, Noa, a student in her twenties, trying to find her happiness and herself. Writing this book took five years. Another boy was added to our family, and the book was first published in Israel. As we moved back and forth, my dream was to publish in English too, which I did. I am now a mother of four boys, married to same husband for twenty years, writing more poetry, running a blog in “Haaretz”, an Israeli newspaper, and working for the last three years on a second novel. “Defined by Others” by MCV Egan is a gripping, contemporary novel that touches on a lot of nerves of modern society. It is set amongst a circle of women in their late forties. Amanda dies at the age of 47 and leaves her friends Connie and Anne a ‘game’ to play. The latter women share not only the loss of their friend but also the loss of their husbands, and are happy to play. Said game involves the fraudulent assumption of fake personas and playing with people’s emotions and hopes on social media platforms. Egan shows a lot of empathy in the way she created her characters – both, the victims and the ‘players’. The story also highlights perfectly how we are happy to accept what we want to and how easy it is to be misled (again, victims and players). The title introduces another theme, and a profound one at that: What defines us: Partners, love or children? When they are taken away, who are we and what do we become? As in her previous work, Egan also brings in Astrology, psychic readings and similar new age topics and weaves them into the storyline and characters, showing the thin dividing line between the honest and the fake practitioners in that field. I was promised an entertaining and light hearted romantic read when I was sent an Advance Review Copy of this book, but I found myself hugely engaged with the characters, their problems and the underlying questions for all of us. The book contains a wealth of emotional wisdom, great quotes and a group of fascinating and relatable characters. Superb. This is quite a different story from your last book. Do you find it easy to switch genres? Yes I do, I have several works that I am not ready to even talk about, but there are several genres in which I feel very comfortable or feel confident in exploring. Lately I find the idea of One Act Plays and Short stories very enticing, but I am committed to several books in the defined series. That being said I also know my limitations and Fantasy of Sci-Fi genres which I admire tremendously are not something I could ever imagine myself writing. Do you prefer one or the other? Each book is unique and separate even in a series. In Astrology the books we write, paintings, sculptures; any creative creation is in the fifth house alongside the children we have, so each one is like ‘my child’ and the love I feel for each as different as the books themselves. I have never felt that I fit into any particular group; defined even by my gender, because I was sandwiched between two older brothers and two younger brothers and even at the start of life I was always competing with boys. A single word and the opinion of her peers propels Anne to play a game with deadly consequences. When did you write the story and how long did it take you to get it published? This was my first attempt at NaNoWriMo, the first draft was done in 30 days from Nov 1st to Nov 30th 2013. I have partially written other manuscripts for the series, but I figured the pressure of NaNo was great for the first one. I got the first draft edited, made changes and put it away to work on the revised edition of The Bridge of Deaths, as well as other projects, so it is hard to tell the timing of it all. Did you always know how it would end or did you consider changing the ending during the writing process? I changed the ending several times. I actually toyed with different deaths, in the end there were some characters I just could not kill, I tried but it made me very sad and the ending too disconnected. Are you like any of the women in the novel? OH MY! I hope not! LOL… well I do love to cook like Connie, and I love words like Anne, I use social media… slight bits and pieces of all of them? Who would play them in a movie? I need a lot of women for this movie. Probably more than the movie from 1939 THE WOMEN; are you familiar with it? Basically any 40 something with an American accent available and ah yes they are ALL very attractive; fortunately there are many to choose from! If money were no object, what is the craziest thing you’d do? REALLY? I am probably far more limited by fear than I am by money in something “crazy” I would do… like skydiving looks to be such an exhilarating experience; but I cannot imagine I would ever find the courage to JUMP! Are you wary of social media? I probably should be after what I wrote! Not at all, I think it is a fantastic tool that can be used for much good and awareness, I hope we are never limited in its use, I have no delusions that ANYTHING is private, but I also do not feel I have to hide. What’s your view on psychics? I have met extraordinarily gifted ones and terrible even dangerous charlatans. As individuals the good ones, not just gifted in their ability but also in their use of it, I respect and admire them. The negative ones that like to impose fear upon others to make them dependent, I feel are horrid vile bottom feeders. In general all my experiences have been very good, because I can spot the fake or dark ones and just walk away. JUST ONE? Come on Christoph you know me better than that! I am not into guilt but certainly into pleasure. You can give a large sum to a charity – which would it be? Feeding, clothing and housing the hungry and the poor, especially children. Can we expect any more historical work from you in the future? Never say never? Right now I am strongly focused on this series and that will keep me busy for several years, but I am still hooked on and belong to genealogy and historical sites (and it is not only my family I investigate). As such I can only assume that you will. In the works, but I doubt I will meet the NaNo 50K this year. It is called Climbing Up The family Tree; Defined by Pedigree and I do use some of the gals from Defined by Others. Is History The Agreed Upon Lie? When Charles and Tony’s mother dies the estranged brothers must struggle to pick up the pieces, particularly so given that one of them is mentally challenged and the other bitter about his place within the family. The conflict is drawn out over materialistic issues, but there are other underlying problems which go to the heart of what it means to be part of a family which, in one way or another. has cast one aside. Prejudice, misconceptions and the human condition in all forms feature in this contemporary drama revolving around a group of people who attend the subsequent funeral at the British South Coast. Meet flamboyant gardener Charles, loner Simon, selfless psychic Elaine, narcissistic body-builder Edgar, Martha and her version of unconditional love and many others as they try to deal with the event and its aftermath. Through very real, compelling characters, Fischer weaves a thought-provoking tale that revolves around Charles’ mental illness and how it affects the family. A disturbing, thought-provoking, and enlightening read that had me questioning just what is normal anyway. Christoph Fischer is a reader’s writer. The story Fischer weaves is rife with colorful characters with their own “conditions” making the reader question “What is ‘normal’ anyway?” The best and the worst of human qualities are displayed as the story moves from the mother’s death to her funeral, then finally to the aftermath of reading the will.The dialogue is what carries the story forward and makes each character come to life. Fischer is brilliant with dialogue! Because he writes using multiple points of view, the reader is able to get inside the head of each character. I felt I had an intimate relationship with everyone from Elaine (Charles’ somewhat psychic 50-something friend) to Tony’s shrewish wife. This book covered a great deal of human territory: mental illness, domestic abuse, homosexuality, marital discord, the paranormal, greed, gossip, guilt, jealousy, gambling addiction…I’m sure I missed other issues. The point is that Charles’ condition is what everyone talked about just as having a diagnosed mental illness is socially stigmatizing. But what about those of us who are not labeled with a mental illness but still have social ills in need of attention? This question is at the heart of what this fine novel explores. 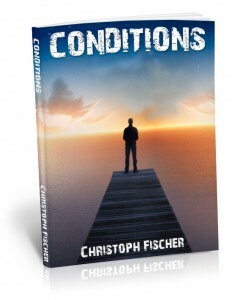 If you are curious about the human condition, then “Conditions” is for you! It is May, 1798, and Ireland is a country at war. One hundred thousand peasants have risen up against the Crown to the tales of men, women and children butchered as traitors. It is whispered that the feared and despised ghosts of Oliver Cromwell’s New Model army have returned seeking bloodshed, and no one is safe. Major Lorn Mullone, a man forged by war and torn by past failures, is sent by the government to apprehend Colonel Black, a dangerous and shadowy figure, who is harming the fragile peace talks with his own murderous retribution. In a race against time, Lorn must journey across a country riven by fighting, where at the walled town of New Ross, he discovers a new horror. In the desperate battle for peace, Lorn must survive for the sake of Ireland’s future. 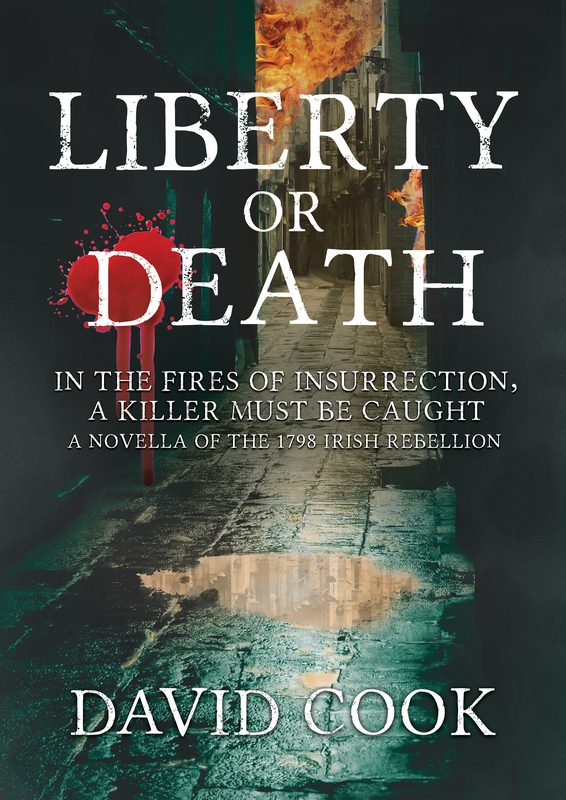 Liberty or Death is an authentic historical story set against the brutal backdrop of Ireland’s Great Rebellion, the first novella in The Soldier Chronicles series. David’s books are well researched, gripping and for this reader, quite an eye opener. 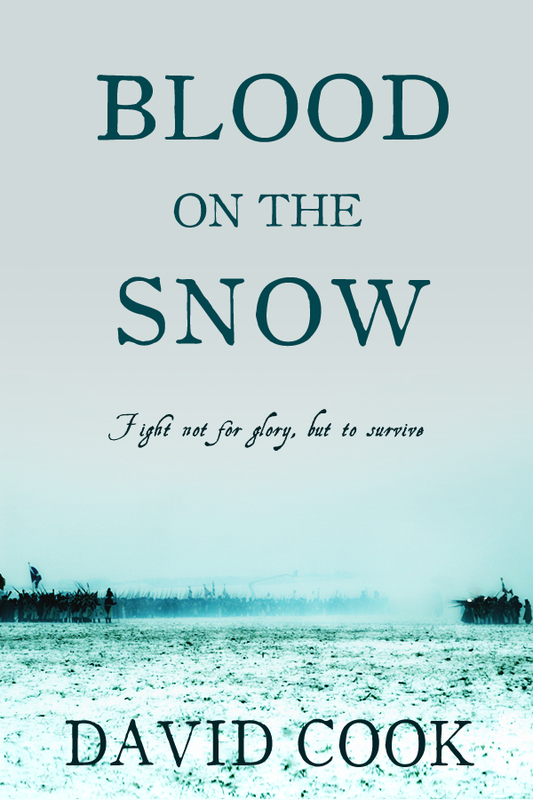 I started with the third in the series, “Blood on Snow”, which is about the Flanders Campaign of 1794 – something that I had little knowledge of and Cook brought it to life with historical competence and splendid details. The novel comes with a variety of well chosen characters that felt authentic and made for a fascinating and compelling read. The weather and living conditions, interactions with the locals and the morale and discipline in the regiment are described exellently. A very recommendable novel and a writer to watch. I’ve been scribbling away since I was 16 years old. It was only reading a soldier’s journal about life in Egypt in the early 19th century in 2006 that I decided to put my ideas together and write my Napoleonic story I’d been putting off. What is your interest in history and the eras you write about? Do you have a preferred era? I write historical-fiction. 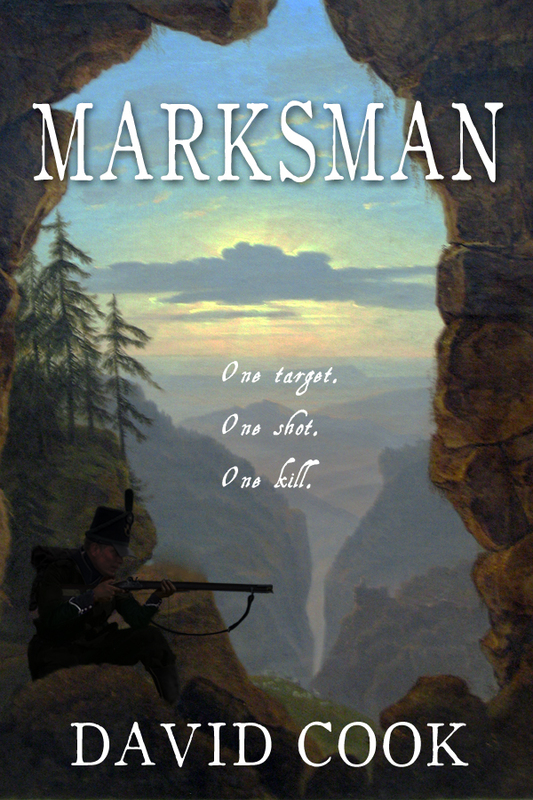 The Soldier Chronicles relate to a Napoleonic series I’d like to have published, but my interest is not only military. I have a written a story about Robin Hood and a band of outlaws who are fighting back William the Conqueror. How do you come up with your story? The Desert Lion (unpublished) is the start of the Napoleonic series and it was from reading the journal that I started with. I finished the story and sent it off to agents. 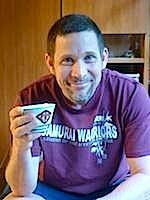 In the lull I wrote backstories which have formed The Soldier Chronicles. Online, read and visit places. The only place I haven’t managed to visit is Egypt. Hopefully, I can soon remedy that. Do you prefer to stay in one era and genre or do you see yourself spreading out? I’m happy – or I should say – I work best in the past. I have always loved our country’s (UK) history and I think I’ll stick with that. I will say, however, that I have an interest in pursuing a modern day ghost story but I don’t know when that will happen. Were the plot and subplots completely planned from the start or did they change during the process, and if so, how? I wrote all the outlines and the first five stories of The Soldier Chronicles about six years ago. They have remained the same, however I always start with a brief outline and let the words flow. I don’t usually know what will happen until I see the words. 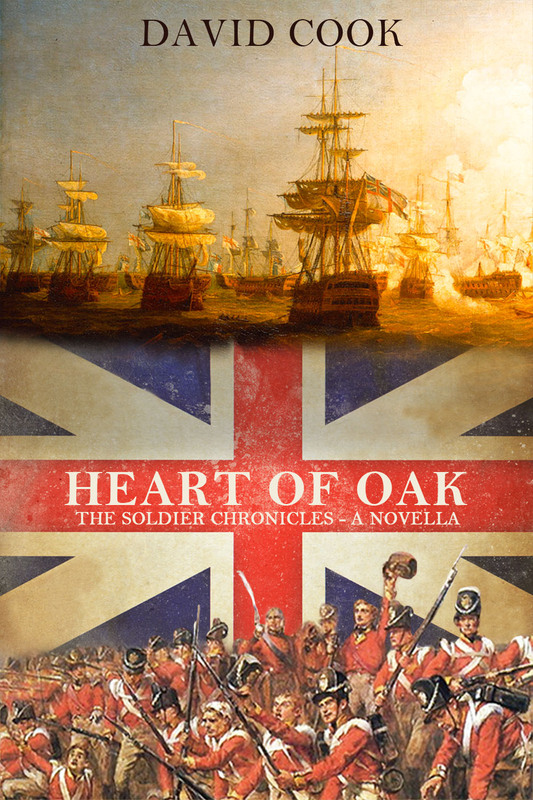 For instance, Heart of Oak was originally going to finish at the fort, but both the protagonist and antagonist wanted more! I‘ve only read one of the books so far. What is the idea behind your series? The chronicles are snapshots of military history in the periods of 1793-1815. I wanted to write them as standalones, to be read in any order, but the characters feature in the main Napoleonic series. There’s this connection that I want to explore. I didn’t want to write them as novels, so decided on novellas, but if they prove popular there is scope to make them into novels at a later date. The best is how the story unfolds. I love research, but it’s not knowing what will happen until it does. It’s very exciting as I’m sure you feel the same. The worst has to be marketing. It’s not terrible, but for an Indie author its hard work to get your voice shouting louder than everyone else. I work full-time and writing isn’t a hobby, it’s a future way of life and I have to work hard at promoting it. It’s very tough and sometimes it’s very lonely. For some reason I always find myself starting the next book just as I’m finishing the last. There’s no transition period it seems. I just seem to be always writing. You have to juggle marketing your book and concentrating on the next book’s story. I can’t really afford to take a break between the stories, not until I’m relatively successful anyway. I want to tell people of these stories. I want people to like them and to transport them back to a time of that period. I hope I can evoke the past. I work full-time as I said, so when not doing either I try to have a social life. Try is the word here. Spending time with my family, friends, go for walks, visit new places. Relax. It’s good to get out, to get up from the writing chair. If I didn’t, I think I’d have a permanent chair seat-shaped arse. You have created great characters. Which one is your favourite? Thanks but that is a tough question. I like them all – can’t choose. Sorry. I updated my facebook page the other day with this question. For Lorn Mullone who is the protagonist in Liberty or Death, I’ve had Liam Neeson, Gabriel Byrne, Michael Fassbender, and Gerard Butler. In fact, I would agree that they would all do Lorn justice as a screen version. In my head and perhaps in the readers mind, Mullone would look very different. I think a part of me is in every character to be honest. I’ve drawn out my idiosyncrasies and given the characters foibles. One odd thing would be that I can eat chocolate at any time of the day. Mundane thing is that I have to have coffee with my breakfast. 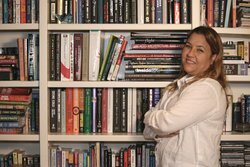 My editor is Catherine Lenderi (@cathlen78 on Twitter) and she was recommended to me by several authors. She’s excellent, professional and one of the planet’s nicest people. I’ve learned to proof-read until my eyes bleed and then give it to Catherine. Who then spots mistakes and gives ideas to help the story flow or other recommendations. I self-published in April this year and after a few formatting issues, it was very easy to add to Amazon KDP, CreateSpace (and Smashwords for the first three books). I’m looking at the sales per day which can be wonderful to heart-breaking. It’s ‘Sharpe’s Siege’. It was given to me as a Christmas present by my father and it introduced me to Richard Sharpe and his world. I’ve been reading them ever since. A complete change of genre for me, but I’ve just started ‘Gone Girl’ by Gillian Flynn. I’ve heard amazing things about it which piqued my interest. Take it on the chin and move on. If someone slates my work then that’s their opinion. I’m not going to worry about it. Often I read stories where authors have ranted on social media and made fools of themselves. I say just let it go and move on. There are far more important things to worry about than someone else’s opinion. 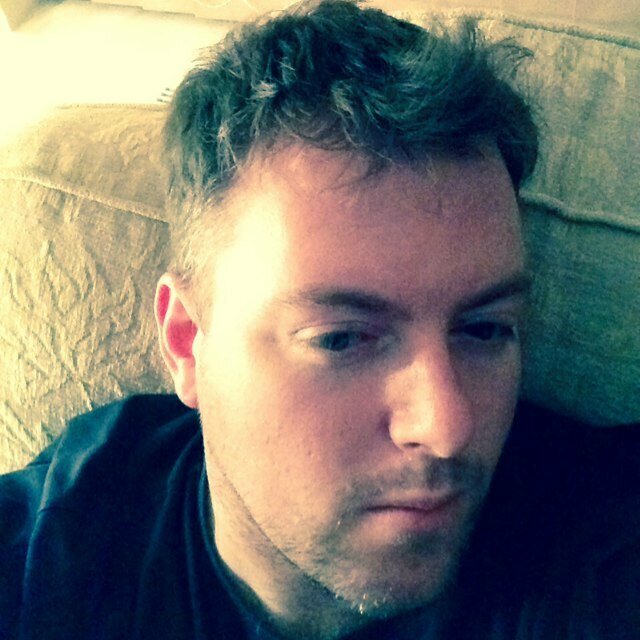 David Cook is from Chandlers Ford, Hampshire, but now lives in Leicestershire with his wife and young son. David has been interested in history since his school days, and developed a love for the Napoleonic Wars era from his father, who painted and amassed a lead model army of the Battle of Waterloo. From there David became fascinated with The English Civil Wars and English medieval history, particularly the legend of Robin Hood. David is writing a novel titled The Wolfshead, a story of Robin Hood, but based on the original medieval ballads as the source. Hello – It’s Wednesday and that means I have an author visiting. Today I welcome M.C.V. Egan (AKA Catalina) to my blog to talk about her books and her new release. Her first book, The Bridge of Deaths, is a fictional account of a real historical event that occurred in 1939 in Denmark. At the brink of World War II, an English plane crashed and sunk in Danish waters. Five deaths were reported: two Standard Oil of New Jersey employees, a German Corporate Lawyer, an English member of Parliament, and a crew member for the airline. Ms. Egan’s grandfather was one of the dead. Defined by Others, her new release, is the first in a series that touches on themes of astrology and the paranormal. Hello Catalina. Let’s talk about both of your books. I’m wondering if you have a common theme or thread running through them. Christoph Fischer on defying writing genres. Please join me in welcoming, Christoph Fischer, author of beautifully written novels, filled with layers of lyrical prose, history, family dynamics, real life challenges and love. 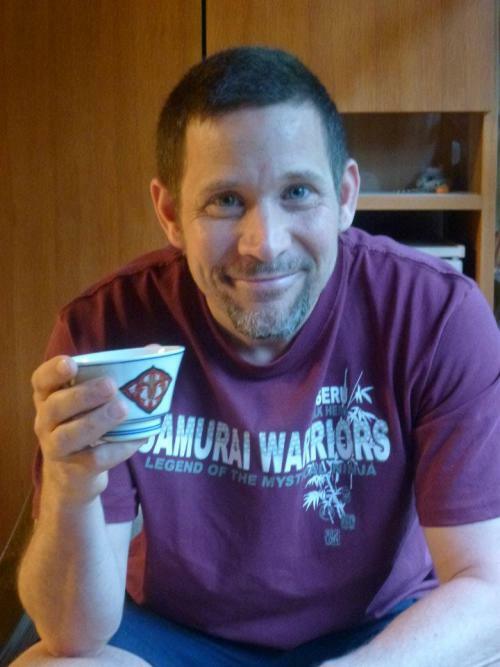 Thank you for sharing a part of your writing journey with us, Christoph for the kind words about my blog and writing. Coming from a talented and established writer as yourself, I am humbled. Thanks for inviting me, Selena. I’m grateful to be here on your beautiful blog. It’s wonderful to come to a place that is open to a variety of genres and writers without restriction. It is this openness and genre defying that I want to talk about. How did you end up writing a medical thriller of all things? The answer: I’m surprised myself. My partner had a dream that formed the basis of the plot. We spent a long car journey discussing its potential for a story and the various ways of how it could be told. I began writing the next day, with a different concept in mind. Around the 80 page mark the idea of “The Healer” as it is now fully formed and I went back and re-wrote my draft into this thriller / mystery story. As a writer this has been a fantastic and fully unexpected experience for me. I hope that you’ll join me on my excursion from historical fare and family dramas and are going to enjoy it. Today I proudly present the cover for my forthcoming new book – “The Healer”, a medical thriller, due to be released Jan 2015. Cover artist Daz Smith has outdone himself, if I may say so.